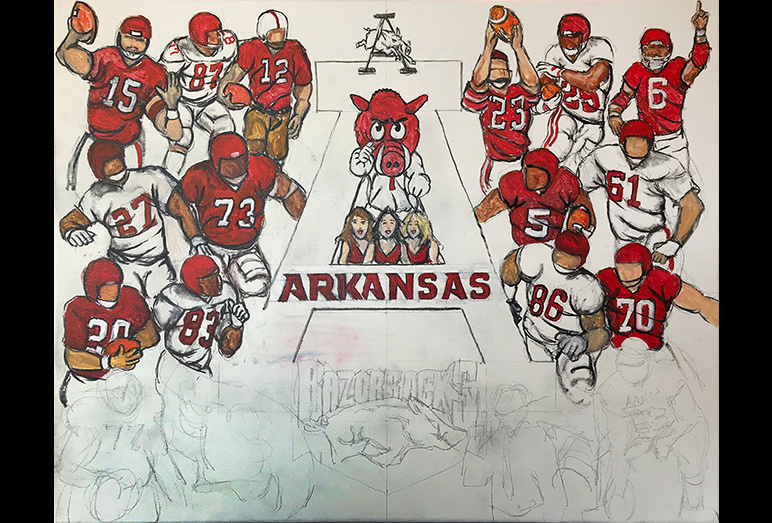 Arkansas Tribute -- Painting Progression -- Use controls to view all images. 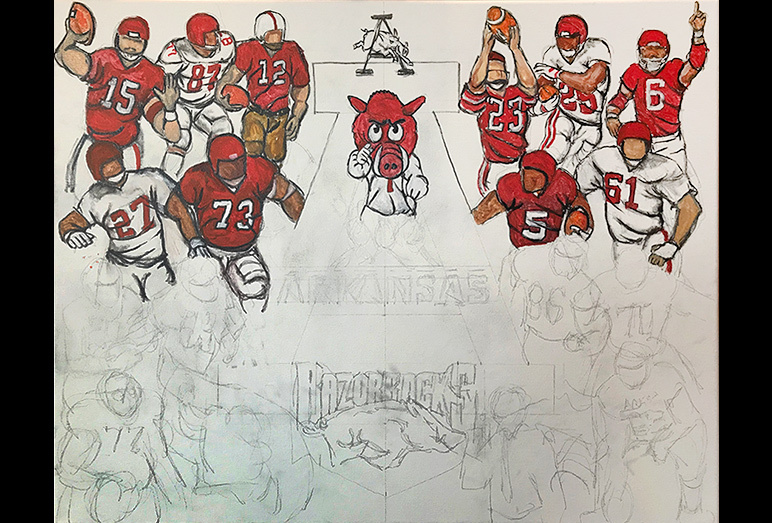 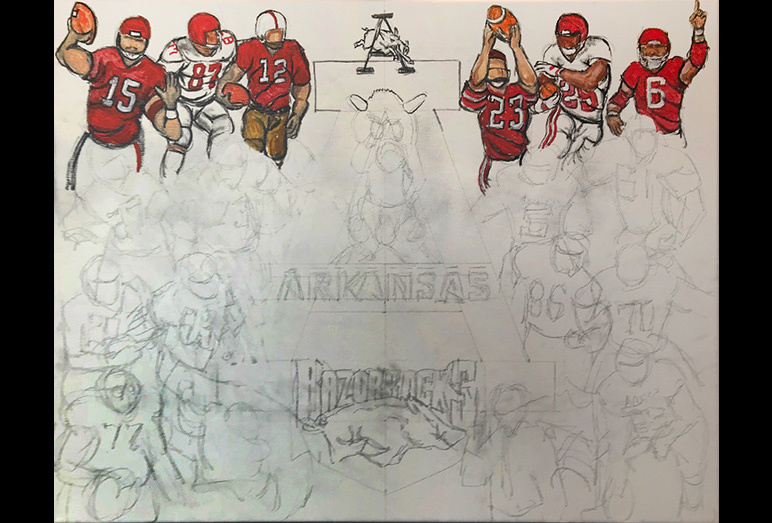 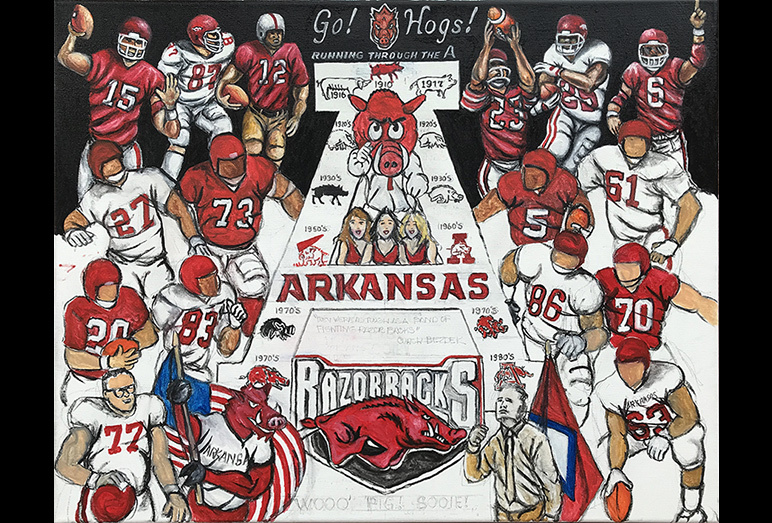 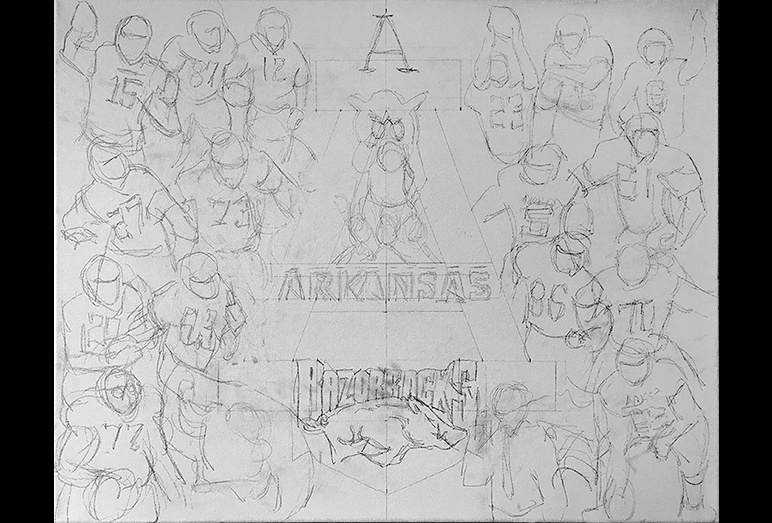 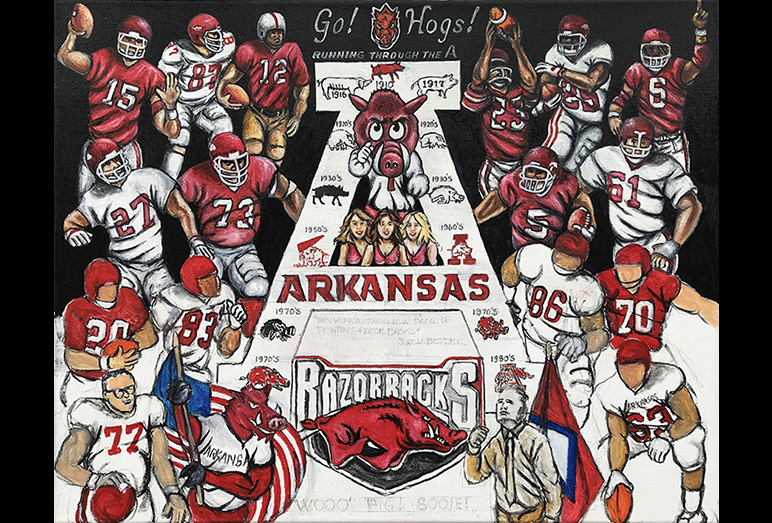 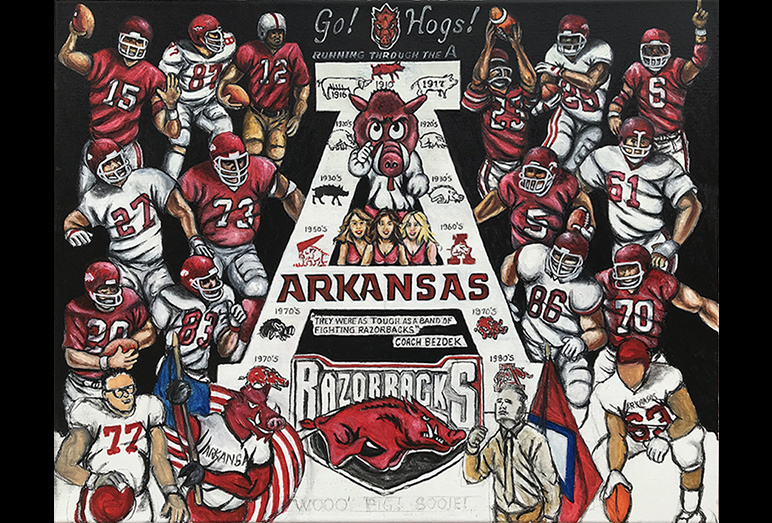 Tom has finished work on the Arkansas Razorback Tribute painting. 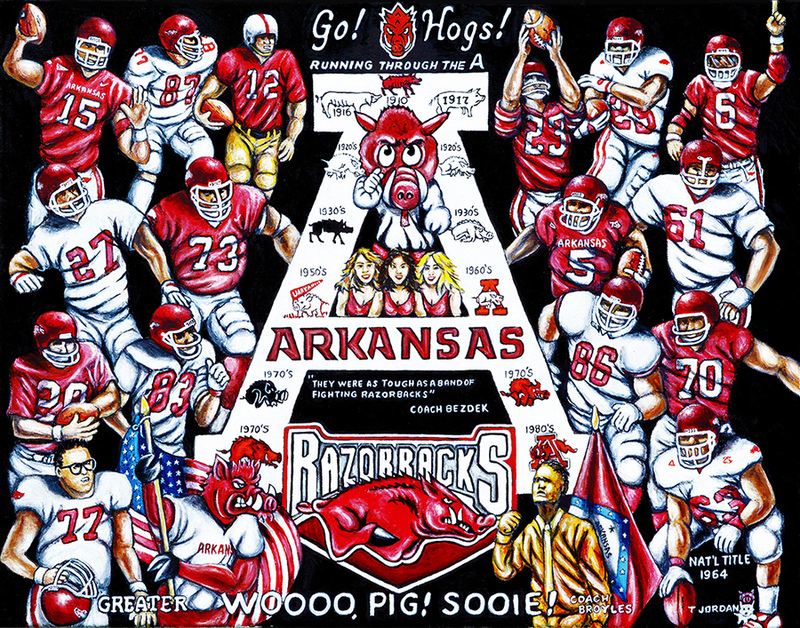 The Razorbacks compete in the Western Division of the Southeastern Conference (SEC). 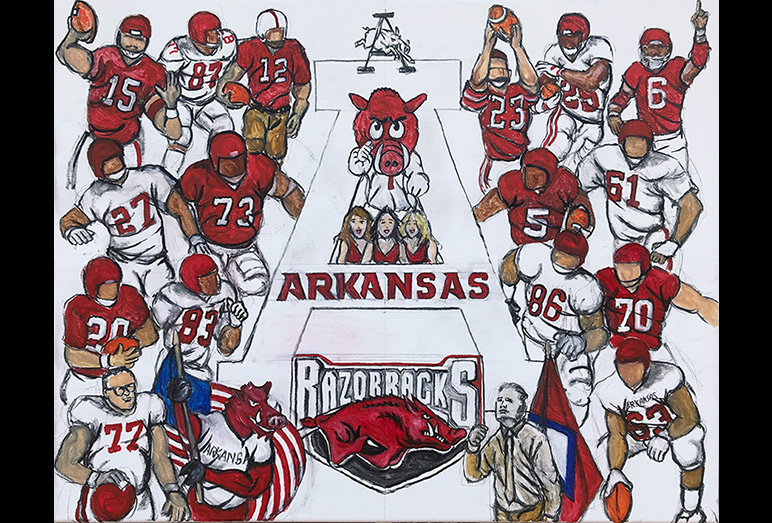 The program has 1 claimed national championship, 13 conference championships, 45 All-Americans, and an all-time record of 701-475-40. 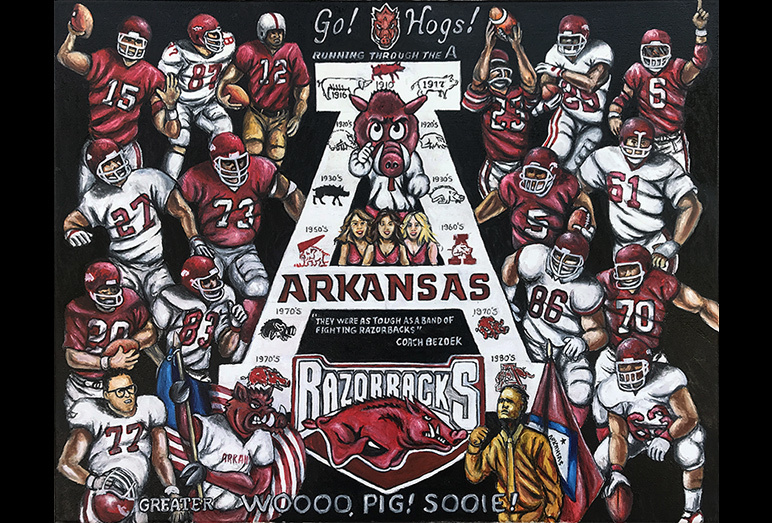 The Razorbacks are the 23rd-ranked team in college football history by total number of wins and they enjoy a large and loyol fan base. 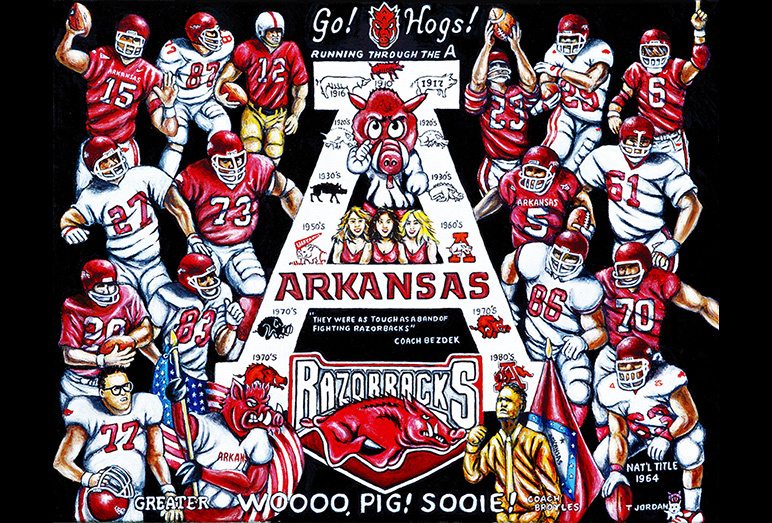 This one's for you Razorback fans!